Trained in sociology/population studies (PhD), political sciences and cultural anthropology (MA), and journalism. Studied and worked in Belgium, Italy, France, UK and the Western Balkans. Has more than 20 years experience in social sciences and humanities research in international and multicultural environments in European countries and developing regions. Past transnational research concerned inter-generational solidarity, ageing, employment and employability, gender and family dynamics, poverty, social inclusion, and foresight studies. Current research is focused on the social dimensions of education, managing migration and integration of immigrants, social impact of research, and ethics. Moreover, since 1999 she has been working as independent expert for the European Commission on evaluation of project proposals, policy review, and as Independent Observer for EC engaged for monitoring the quality of evaluation procedures (DG Research, DG CNNECT, DG Education and Culture, Research Executive Agency REA, Innovation and Networks Executive Agency, Education and Culture Executive Agency EACEA, Trans European Transport Executive Agency, EC Executive Agency for SMEs EASME etc.). 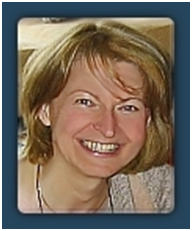 Since 2009 she had been the lead expert for the Erasmus Mundus (EACEA) Programme and for several years was Chair of the Marie Skłodowska Curie Actions (REA). Publications include 15 books and over 70 scientific articles in several languages (English, French, German, Serbian). Avramov, D. (ed.) (2008), Acceptance of immigrants in Europe? Schriftenreihe des Bundesinstituts für Bevölkerungsforschung Sonderband. Pro Business Verlag book-on-demand, Berlin. Avramov, D., R. Cliquet (2005), Integrated Policies on Gender Relations, Ageing and Migration in Europe: CBGS Publicaties. Leuven: Garant. Avramov, D., M. Maskova (2003), Active ageing in Europe. Population Studies. Strasbourg: Council of Europe Publishing. Avramov, D. (2001), People, Demography and Social Exclusion. Strasbourg: Council of Europe Publishing. Lectured at universities in some 10 European countries and was keynote and guest speaker at numerous international conferences. CV AVRAMOV Europass December 2017.